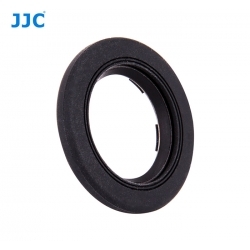 JJC EN-4 Finder Eyepiece is a replacement eyepiece for Nikon's D3, D2 series, D700, and F6 cameras. EN-4 has no corrective value and are for dust protection only. Select eyepieces are supplied with a rubber coating designed to lessen scratching of a photographer's eyeglasses. JJC EN-4 replaces Nikon DK-17.